Alec Baldwin is a little unpredictable when he gets upset, and last night, someone pushed his perfectly-coifed buttons the wrong way. 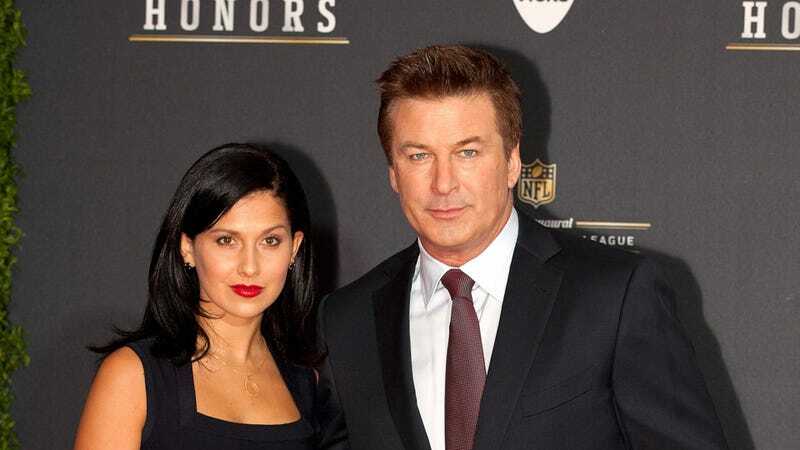 Baldwin tweeted that a mysterious stranger calling themselves @Scarfacemadam, "has entered the twitter-verse ONLY to harass my girlfriend." He said that this person was "borderline threatening" to his ladyfriend, Hilaria Thomas, and he urged his followers to "go to her address, and read just a few of her posts, and give her your notice of her behavior." Yes, Jack Donaghy. Whatever you say, Jack Donaghy. This is just like the child hood game of "telephone" - someone hears a small rumor and blows it out of proportion. All these websites are doing is spreading gossip/hearsay, and unless you hear it from us, you can't believe everything you read.